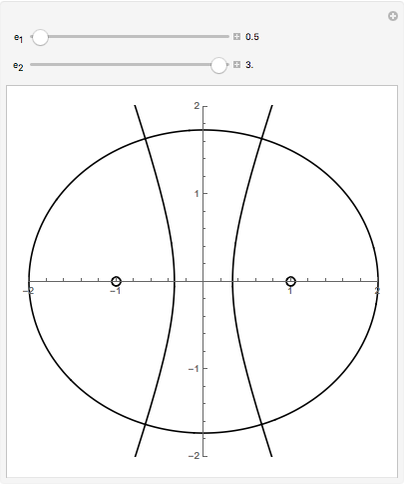 This Demonstration shows that ellipses and hyperbolas with the same focal points (here placed at the points and ) always cross each other orthogonally. 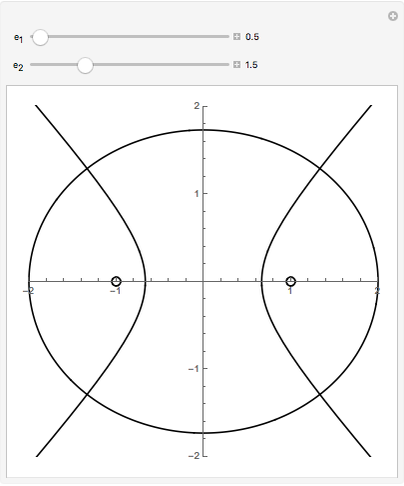 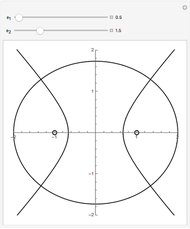 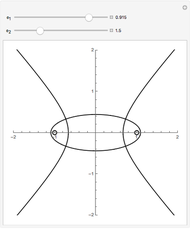 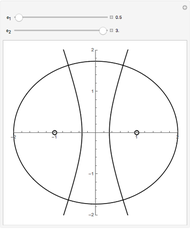 The variables used for the curves are the eccentricities, for the ellipses and for the hyperbolas. 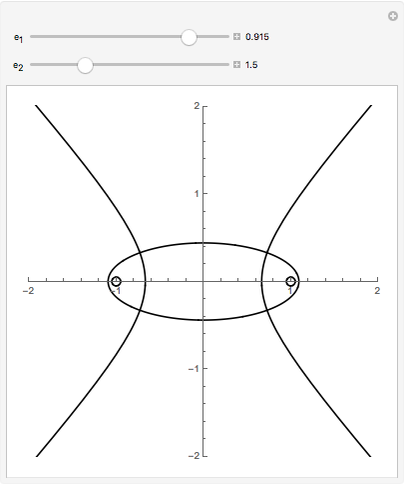 Erik Stig Larsen "Ellipses and Hyperbolas with the Same Focal Points"